FEATURE — Spring is upon us, and with it comes allergy season – but not just for humans. While you may experience sneezing, coughing and itchy eyes as result of allergies, your pet most likely will exhibit itchy skin. This can lead to scratching, biting and chewing at the skin. Some animals may also experience excessive face rubbing, excessive grooming and hair loss. Many will suffer from recurrent ear infections as well. Allergy is a disease in which the immune system reacts abnormally to everyday substances, such as pollens, animal danders, mold spores, mites and certain foods. All of these allergic reactions are unpleasant, some are serious and a few can be fatal. The offensive substances causing allergies are known as allergens. 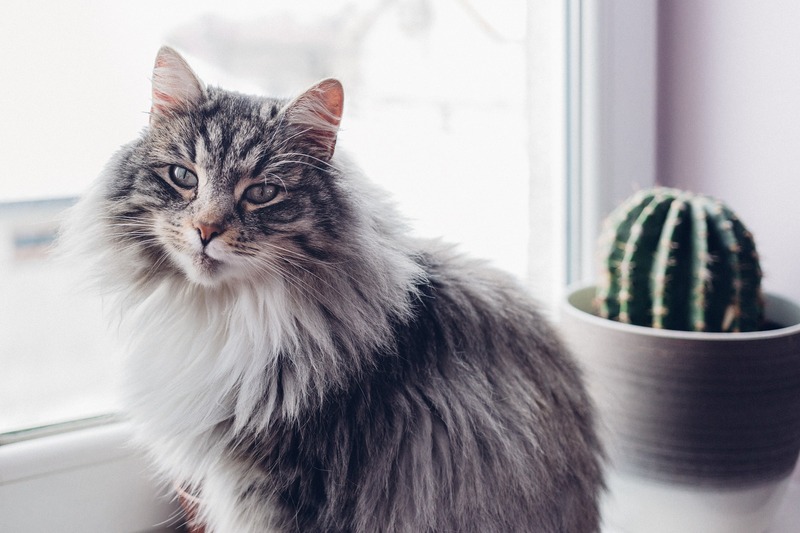 An allergic reaction may be caused by inhaling or ingesting the allergen but most often is the result of the direct contact of the allergen with the pet’s skin. When a pet suffers from allergy, the immune system reaction that occurs causes itching. The usual locations of the itching are the belly, feet, base of the tail and face – especially around the eyes, mouth and ears. Less commonly observed signs include sneezing, coughing and asthma. Most pets will itch and scratch on occasion, which can be a normal behavior as not all scratching is due to allergies. How can you know if your pet has allergies? Allergy diagnosis requires that your veterinarian first eliminate all other possible causes of the itching. Many owners erroneously diagnose a food sensitivity as their pet’s source of itching. Although many owners themselves may experience food allergies, dogs and cats are much less likely to be affected by what they eat. According to one report, only 0.2 percent of dogs and 0.1 percent of cats have food allergies, and proteins like chicken, beef or dairy are the most common causes rather than grains. When allergies are not the cause of itching, infestation by fleas or lice, bacterial or fungal infections, or dry skin may explain the pet’s itching. These problems are usually easy to resolve. Allergy, on the other hand, is different. Your veterinarian will want to take a complete history of your pet’s problems and perform a complete physical examination. The vet may do some preliminary laboratory tests and may recommend a special diet and a food trial to eliminate food allergy as a cause for the allergic signs. A specialized blood test will allow your veterinarian to determine what environmental causes of allergy are affecting your pet. At Washington Family Veterinary Clinic, the Heska Allercept IgE allergy test system is used and determines which allergens your pet is reacting to in a simple and noninvasive manner by submitting a small amount of blood to the laboratory. Once a diagnosis of allergy is made, your veterinarian will work with you to determine the most appropriate course of therapy for your pet. You may be wondering how your pet came to have allergies. Your pet inherited its ability to become allergic from its parents. After continued exposure to the offending allergens for months or years, the signs of allergy become apparent in the pet. The typical allergic pet starts with a short period of biting, chewing and scratching, which may be mild or perhaps unnoticeable. With repeated exposure to the offending allergens, the pet gradually experiences prolonged periods of itching and changes in the texture and color of the skin. In most animals, the initial signs of allergy appear during the first two to four years of life. The last and most important question is how allergies are treated. There are several different ways or combinations of ways to treat allergies. If the allergy is mild, avoidance of the offending allergens in conjunction with environmental control may be all that is needed to control the disease. Your pet’s veterinarian may also prescribe medications or a special food to control the clinical signs. In pets with more severe allergies or in pets where allergies occur year-round, specific allergy treatments, such as immunotherapy (allergy shots or drops), may be needed as determined by the results of the Allercept test system results. If you feel your pet may be suffering from allergies, please contact your veterinarian for more specific answers. As always, we at Washington Family Veterinary Clinic are committed to the most comprehensive care available for your pet. If you have any questions regarding anything you have read here, please feel free to contact us or your regular veterinarian today. Written by DR. ARDEN GILLESPIE, Washington Family Veterinary Clinic. This article was first published in St. George Health and Wellness magazine.